Filing for office has closed here in Oklahoma, and 586 candidates signed up for federal, state, and judicial offices. 156 candidates were Democrats, 15 were Independent, 205 were Republicans, and 210 filed for non-partisan judicial offices. U.S. Senator Tom Coburn (R-Muskogee) drew six opponents - two Democrats, Independents, and Republicans each. First District Congressman John Sullivan (R-Tulsa) drew five Republican opponents, and one Independent. Second District Congressman Dan Boren (D-Muskogee) drew one Democrat challenger, and six Republicans. Third District Congressman Frank Lucas (R-Cheyenne) got a Democrat opponent. Fourth District Congressman Tom Cole (R-Moore) has one Republican challenger. In the Fifth Congressional District, being vacated by Mary Fallin (R-OKC), two Democrats, seven Republicans, and two Independents filed. Lt. Gov. Jari Askins and Attorney General Drew Edmondson filed for Governor on the Democrat side, while State Sen. Randy Brogdon, Congresswoman Mary Fallin, Robert Hubbard, and Roger Jackson filed as Republicans. The race for Lieutenant Governor was a bit of a surprise. State Sen. Kenneth Corn was the only Democrat to file, but five Republicans are now running (State Sen. Todd Lamb and State Rep. John Wright being the top candidates), along with one Independent. Incumbent Democrat State Auditor Steve Burrage is running for reelection; David Hanigar and OKGOP Chairman Gary Jones are running on the Republican side. Democrat Jim Priest is running for Attorney General, as are Republicans Ryan Leonard and Scott Pruitt. Democrat Stephen Covert is running for State Treasurer, along with Republican candidates State Rep. Ken Miller and former State Sen. Owen Laughlin. State Superintendent Sandy Garrett is retiring, which sparked quite a bit of interest. 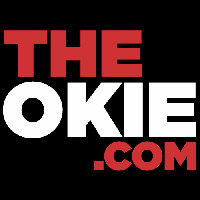 Three Democrats are running, State Sen. Susan Paddack being the chief candidate, as are two Republicans, with Janet Barresi being the frontrunner, and one Independent. Democrat Labor Commissioner Lloyd Fields is running for reelection; Republicans Mark Costello and Jason Reese are challenging him. Democrat Insurance Commissioner Kim Holland is also running for reelection; three Republicans are running against her, with John Doak being the likely GOP nominee. Republican Corporation Commissioner Dana Murphy drew a Republican primary opponent. I don't follow District Attorney races very closely, but there are a few races of interest. In District 10, State Rep. Rex Duncan (R-Sand Springs) is running against Democrat First Assistant DA Jeff Jones. In District 18, State Rep. Terry Harrison (D-McAlester) is running against two other Democrats. Ironically, Harrison currently represents House District 18. In District 27, sitting Democrat DA Jerry Moore is running for reelection, against two former opponents and a new challenger. Former (and embattled) Democrat DA Richard Gray is running again, and the Republican nominee from last election, Brian Kuester, is also running. Two Democrats and two Republicans have filed to run for Kenneth Corn's seat - SD4. State Rep. Neil Brannon (D-Arkoma) is favored to win. State Sen. Jay Paul Gumm (D-Durant) drew a Republican candidate, Josh Brecheen. Brecheen is a former staffer for U.S. Sen. Tom Coburn. In the past year or so, the Bryan County Republican Party has grown by leaps and bounds - SD6 will be a race to watch, especially in an anti-Democrat year. Could the GOP win their first State Senate seat in the 2nd Congressional District? 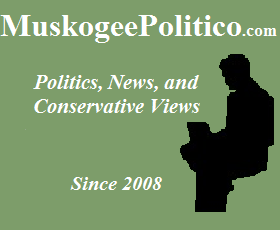 In SD8, State Sen. Roger Ballenger (D-Okmulgee) also received a Republican opponent - Janica Edmonds of Morris. Janica's brother Daniel is also on the ballot (running against Congressman Dan Boren). One Democrat and two Republicans are running to replace term-limited State Sen. Joe Sweeden in SD 10. State Rep. Eddie Fields (R-Wynona) is one of the Republican candidates in what could be another GOP pickup. Republicans are likely to pick up the open seat in SD18, where Republican Kim David is running against Democrat Janice Aldridge. This seat is currently held by Democrat Mary Easley (Michael Bates of BatesLine appropriately says that SD18 was "Mary-mandered" so that Easely could hold this particular seat). Three Republicans are running in SD22, where State Sen. Mike Johnson is term-limited. His son, former State Rep. Rob Johnson, is running to replace his dad. In SD24, State Sen. Anthony Sykes (R-Moore) has drawn a Republican opponent, two Democrats and one Independent. State Sen. Harry Coates (R-Seminole) has drawn a Republican opponent in SD28. Harry has been labeled "Turn-Coates" by many conservative Republicans, who are angry at his past betrayals in close Senate votes. In SD30, David Holt and Matt Jackson, both Republicans, are running to replace term-limited Senate Pro Tempore Glenn Coffee. Republicans Rick Brinkley and Tim Coager are running in SD34 to replace State Sen. Randy Brogdon, who is running for Governor. State Sen. Cliff Aldridge (R-Choctaw) has picked up a Republican, a Democrat, and an Independent challenger in SD42. In State Sen. Debbe Leftwich's seat, SD44, one Democrat and five* four Republicans have filed. This is another potential GOP pickup [* - Jay Means, Republican, withdrew his candidacy]. Liberal State Sen. Andrew Rice (D-OKC) picked up his Republican opponent from last time, Joshua Jantz. State Sen. Connie Johnson (D-Forest Park) has three Democrat primary opponents. In HD2, State Rep. Glen Bud Smithson (D-Sallisaw) has drawn a stiff opponent in Republican John Bennett. This race is a great chance for Republicans to add a fourth GOP-held seat in the 2nd Congressional District. Six Democrats and one Republican filed to run in HD3, which is currently held by Neil Brannon (who is running for State Senate). 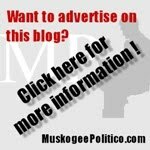 State Rep. Mike Brown (D-Tahlequah) is being opposed by Republican Dwayne Thompson in HD4. Republican Marty Quinn is running against Democrat Eric Cullen to replace outgoing State Rep. Tad Jones (R-Claremore) in HD9. In HD15, State Rep. Ed Cannaday (D-Porum) has drawn Democrat (Annie Goolsby) and Republican (Paul Parrott) opponenets. 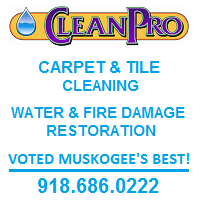 State Rep. Brian Renegar (D-McAlester) is being challenged by Republican Micah Thompson in HD17. In HD18, four Democrats and one Republican are running to replace State Rep. Terry Harrison (D-McAlester). In what is another race to watch closely, four Democrats (Chris Pierce, Jerry Tomlinson, Oden Grube, and Nathan Williams) and two Republicans (Jack Accountius and Dustin Roberts) are running in HD21 to replace outgoing State Rep. John Carey (D-Durant). State Rep. Sue Tibbs (R-Tulsa) has drawn a Republican and Democrat opponent in HD23. One Democrat and four Republicans are running in HD27, to replace State Rep. Shane Jett (R-Tecumseh), who is running for 5th District Congress. Democrat Ed Smith and Republican Tom Newell and Brian Cain are running in HD28, to replace outgoing State Rep. Ryan Keisel (D-Seminole). State Rep. Cory Williams (D-Stillwater) is being challenged by two Republicans in HD34, in what has been a seat held by Republicans. In HD35 , one Democrat and two Republicans are running to replace State Rep. Rex Duncan (R-Sand Springs), who is running for DA. Republican Sean Roberts and Democrat Greg Brown are running to replace State Rep. Eddie Fields (R-Wynona), who is vacating HD36 to run for State Senate. State Rep. Ken Luttrell (D-Ponca City) is facing a tough reelection bid against Republican Steve Vaughan in HD47. Four Democrats and one Republican are running in HD44 to replace term-limited Rep. Bill Nations (D-Norman). In HD45, Republican Aaron Stiles is challenging State Rep. Wallace Collins (D-Norman). State Rep. Samson Buck (D-Ardmore) is being opposed by two Republican candidates in HD49. In HD53, State Rep. Randy Terrill (R-Moore) is being challenged by Democrat Amy Corley. Terrill has been under fire for alleged political corruption, so this will be interesting to watch. State Rep. Gus Blackwell (R-Goodwell) is being opposed by Republican Seth Adams and Independent Stephen Skacall. State Rep. Ann Coody (R-Lawton) has drawn Democrat opponent Michael Corrales. State Rep. Dan Sullivan (R-Tulsa) is being challenged by Democrat Jeff Tracy in HD71. Sullivan drew fire earlier in the year for issues relating to campaign contributions. In HD72, State Rep. Seneca Scott (D-Tulsa) has drawn a Republican opponent - Randall Reese. State Rep. Jabar Shumate (D-Tulsa) drew a primary opponent in HD73, as did State Rep. David Derby (R-Owasso) in HD74. In HD76, two Republicans are vying to replace term-limited State Rep. John Wright (R-Broken Arrow) - David Brumbaugh and Tony Griffith. State Rep. Jeannie McDaniel (D-Tulsa) is being opposed by Republican Molly McKay in HD78. In HD81, the seat being vacated by State Rep. Ken Miller (R-Edmond), Republican Randy Grau was elected without opposition. State Rep. David Dank (R-OKC) in HD85 has drawn a Republican, Democrat, and Independent opponent. State Rep John Auffet (D-Stilwell) drew two primary challengers in HD86. State Rep. Jason Nelson is once again being challenged by Democrat Dana Orwig in HD87. Homosexual State Rep. Al McAffrey (D-OKC) drew a Republican opponent, Dominique DaMon Block, Sr. in HD88. Block is an African-American. In HD91, State Rep. Mike Reynolds (R-OKC) drew a Democrat opponent, Hollis Harper. State Rep. Mike Christian (R-OKC), who has also been involved in the alleged political corruption involving Randy Terrill and State Sen. Debbe Leftwich, has three Democrat opponents in HD93 - Wilfredo Santos Rivera, Jeff Packham, and Wanda Jo Peltier. 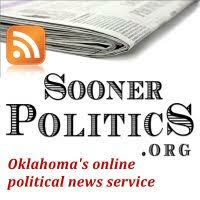 State Rep. Scott Inman (D-OKC) has two Republican opponents in HD94; Zana Williams and Kyle Coulter. In HD98, State Rep. John Trebilcock (R-Broken Arrow) drew a Republican* and Democrat opponent [* - Dulcie Hannigan, Republican, withdrew her candidacy]. Three Republicans are running in HD100 to replace State Rep. Mike Thompson (R-OKC), who is running for 5th District Congress. With filing closed, Republicans automatically hold 37 of 101 state house seats; 33 seats had had only one candidate (all incumbents, except for HD81), and 4 seats will be decided in the GOP primary on July 27th. Republicans currently hold 62 house seats. 14 Democrat incumbents had no opponents, and three races will be decided in the Democrat primary, making for 17 seats that no Republicans or Independents filed in. In the state senate, 22 of the 44 seats were up for election; Republicans currently hold 26 seats. Three Republican and three Democrat incumbents were completely unopposed, one race will be decided in the Democrat primary, and 4 seats will be decided in the Republican primary. Democrats fared better in the District Attorney races; 14 seats had no Republicans file, while 7 seats had no Democrats file. There are 27 DA districts across the state. Two of Oklahoma's five congressional districts had no Democrats file, and no Democrats filed to run for the Corporation Commission seat that is up this year. Overall, 2010 was a terrible year for the Oklahoma Democratic Party, just from a candidate recruitment standpoint. To illustrate, the two top Democrat targets in 2008, State Reps. George Faught (R-Muskogee) and Todd Thomsen (R-Ada) went unopposed this year, as did several Republican freshmen (including Todd Russ, who won a special election last fall). Great summarization of the filing action this week, Jamison. Thanks for putting all of this together. so glad george got a pass!!! Zana Williams is an immature, manipulative lesbian who is running against Rep. Scott Inman. I don't understande why so many kids with 0 experience try to run for state office. It's really annoying because everyone knows why they do it... because they're on a POWER TRIP. Zana is 22 and doesn't even have a BACHELORS degree...she's still a junior at Oral Roberts University!!!!!! We need serious responsible people to run like Scott Inman (her opponent). This man has done nothing but great things for the district! There are several pictures floating on the web with Zana and alcohol or Zana and her girlfriend. I wonder what Oral Robert's University is really teaching their students. This girl needs to drop out NOW. The Zana Williams Campaign thanks you for not acknowledging outlandish claims. Truth speaks for it self. And light always shines through darkness. The Zana Williams Campaign looks forward to working with and inspiring the local community. We are working with the Big Brother Big Sister Organization, to establish mentorship programs for our local youth. If we as the local community can bring in more private charitable organizations to do what the government is trying to do now, we have the oppurtunity to save tax payers money and redirect some of the funding that goes towards out of class programs, toward in class aide for teachers.After speaking with local parents and teachers I found that this is a major concern for our district. solution: bring in private charitable organizations to do what the government doesn't have too.